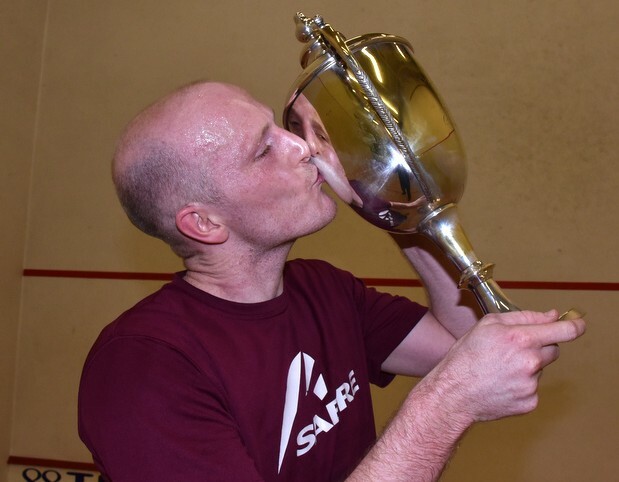 NORTHUMBRIA No 1 Dave Barnett cruised to his 13th consecutive men’s title in the 2016 County Closed . 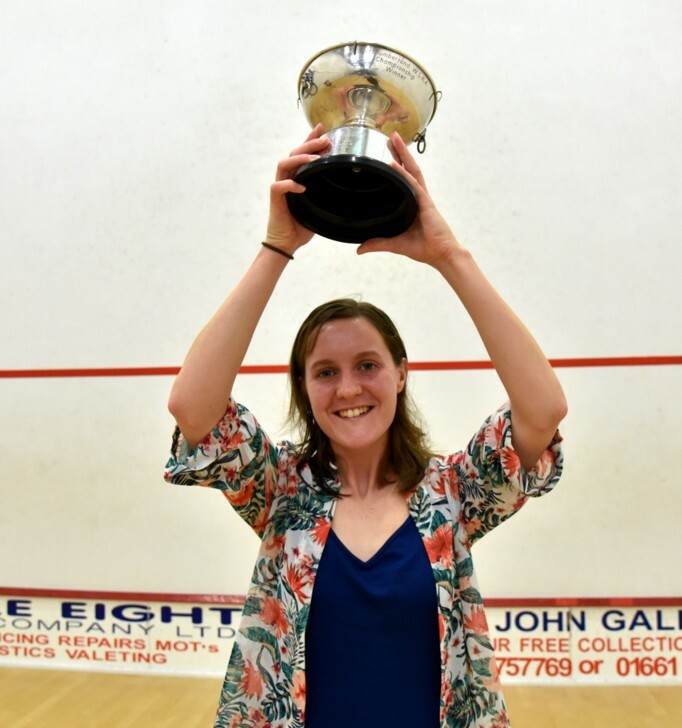 . .
And as one long reign continued, a new squash queen was crowned, with Hannah Cliff taking her first ever senior championship. 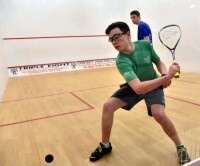 There was a bumper entry in the 2016 events – able engineered by the industrious Eric Mok – and a new racketball event, with the matches running across six days at Tynemouth. With men’s No 2 Liam Gutcher away feeding his gambling habit in Vegas (his cover story was something about his role as Northumbria University squash coach), the odds had shortened further on Barnett coming up trumps again in the men’s event. 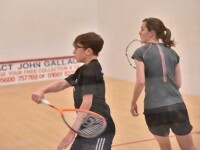 But he still had it all to do, in a strong field of established players and emerging youngsters. 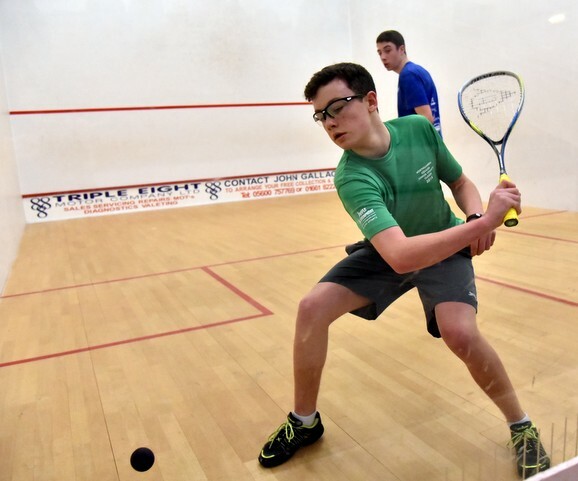 Seeing off Matthew Youngman in Round One and a fit-again Matt Hardy in the quarters, Barnett went 5-0 down in the first game against Mohammed Bilal Khan. 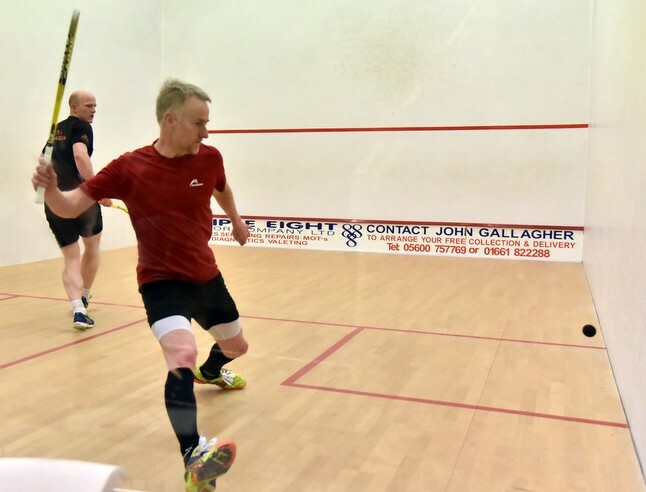 But the home favourite barely looked back after that; his consistent, up-tempo power game proving too much for his sharp-shooting rival. Khan had seen off 3/4 seed Cai Younger in the quarters, and another young gun, Chris Wiggins, gave second seed Paul Lord a tough challenge in the other semi. 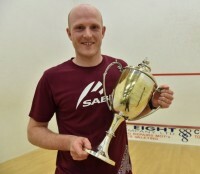 Former US Open finalist Lord prevailed 3-1, but two of the games went to two-clear points as the ever-accurate Wiggins gave it everything he had on the Tynemouth glass-back. Lord’s array of attacking shots are enough to trouble any North East player – and on the back of a rigorous training programme, he also seemed to be hitting peak fitness at the right time. 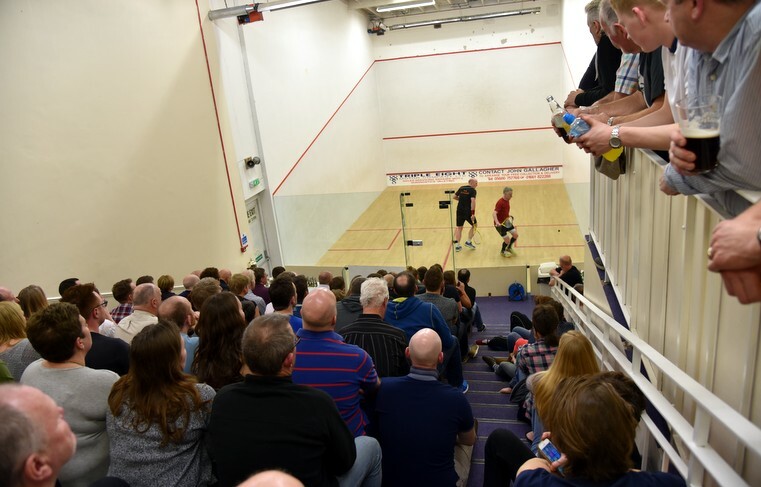 So it proved in the first game of the final, as he took a 1-0 (14-12) lead in front of a packed crowd. 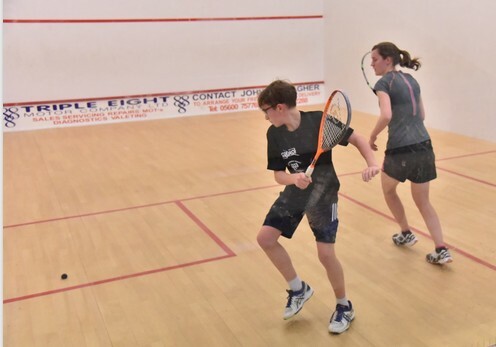 And the Westoe No 1 started the second strongly too, taking a 4-1 advantage. 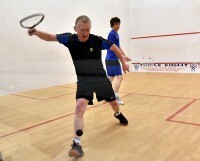 But the experienced Barnett kept the pressure on, and gradually took control. 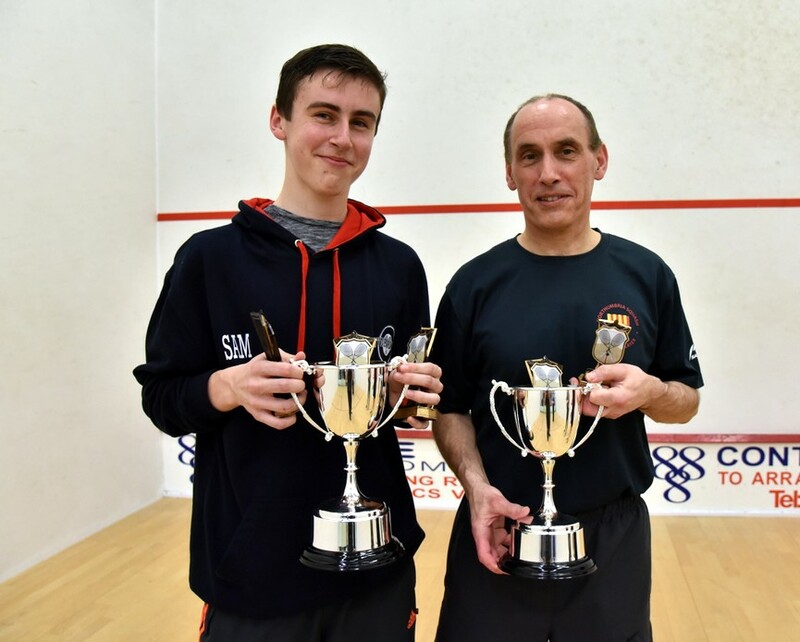 With Lord’s movement not quite as fluid now, the pace and variation of Barnett’s game and his relentless retrieval pushed him on to a deserved 3-1 win (12-14, 11-5, 11-3, 11-5), – and a tearful acceptance speech which showed, even after all these years, how much the trophy means to the ever-popular 34-year-old. 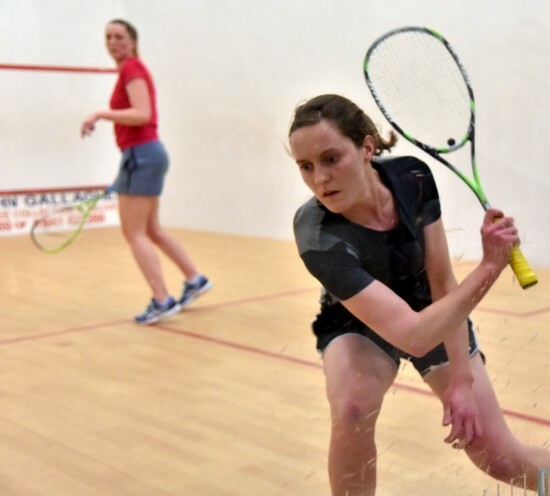 Just before the men’s showpiece, the county’s squash fanatics were served up a royal treat as ladies finalists Emma Gregson and Hannah Cliff battled out a five-set thriller. 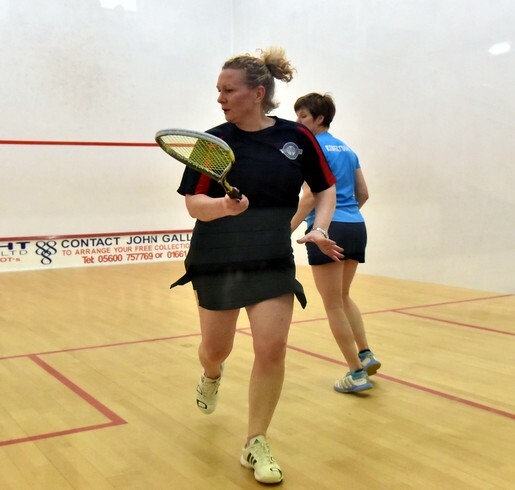 Gregson’s attacking volley drops and inch-perfect lobs helped her to a deserved 2-1 lead (12-10 in the third) – but Cliff found her range again in the fourth to tie things up. 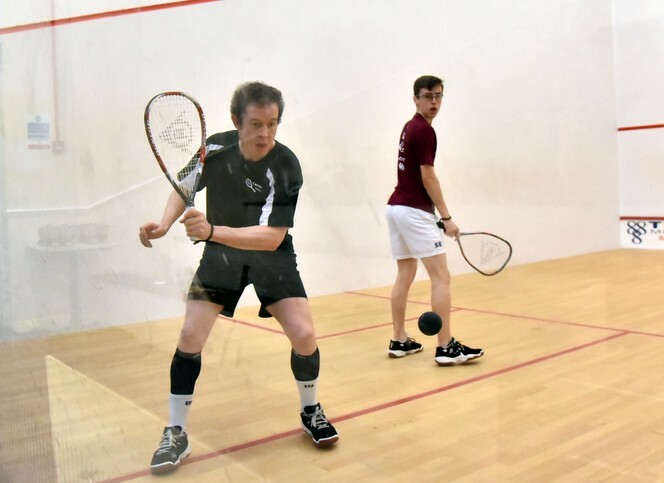 It had been a thrilling encounter – the consistency and speed of Cliff’s game contrasting with the unpredictable racketplay of Gregson. 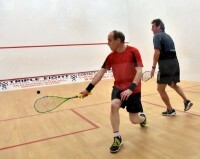 However, it was the former who looked stronger throughout in the decider. 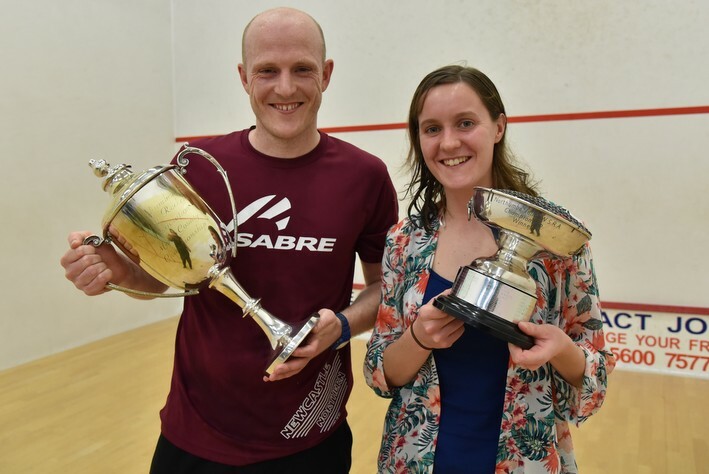 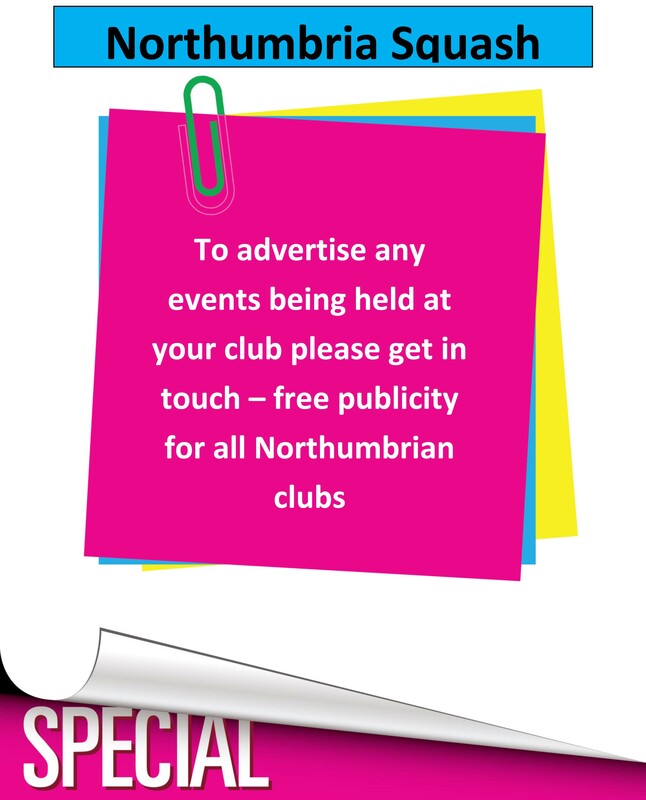 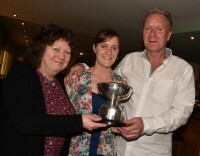 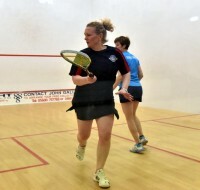 Cliff, a six-time Tynemouth club champion, and twice a losing finalist in the County Closed, took her first Northumbria Ladies crown at the age of 25 (11-4, 9-11), 10-12, 11-8, 11-2). In the Plate events, Newcastle University’s Mike Collins saved a match ball in the fourth game of the final, to win a thrilling match against Michael Mattimore 3-2 – 14-12 in the fifth. 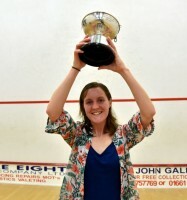 Jesmond’s ever-consistent Georgia Webster proved too strong for fellow junior Megan Evans in the final of the Ladies Plate, taking the match 3-0 – but Northern’s Evans, aged just 14, had done so well to get to that stage and is clearly one to look out for in the future. 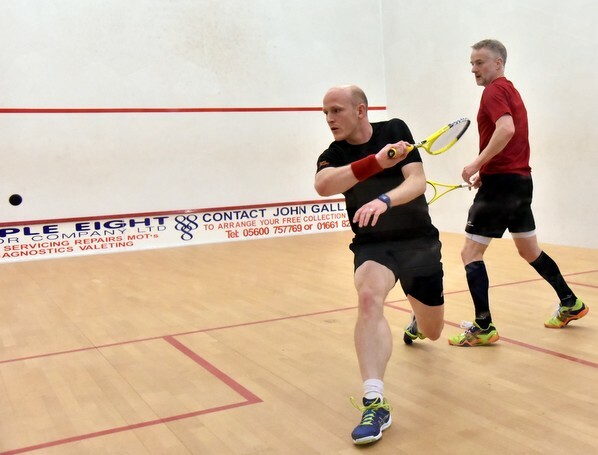 Special mention should go to Tynemouth’s Sean Milllington for a rip-roaring display in his quarter-final against Chris Wiggins – the home player lost 3-2 but had come within a point of a 3-1 win after leading 10-9 in the fourth. And the county doubles event was another highlight – attracting as it does a bumper entry and players from all abilities from across the region. 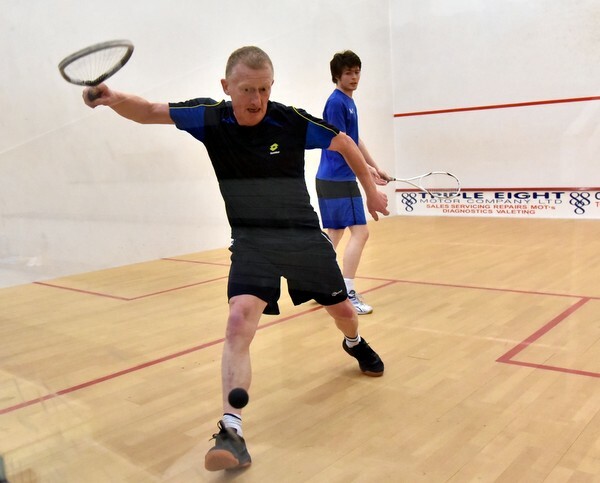 Tynemouth father-and-son combo Jon and Sam Evans reached the final at a canter, but they were within a shot of losing the best-of-three showpiece when Newbiggin duo Rob Black and Chris Adamson served for the match at 10-9 up in the third. 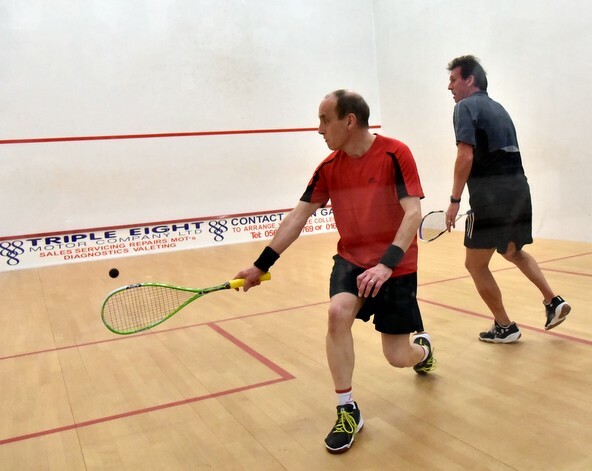 The home favourites came through, though, to take a great final 13-11 – and a third trophy of the week for the evergreen Evans senior, to go with his Over-45 and Over-55 crowns. 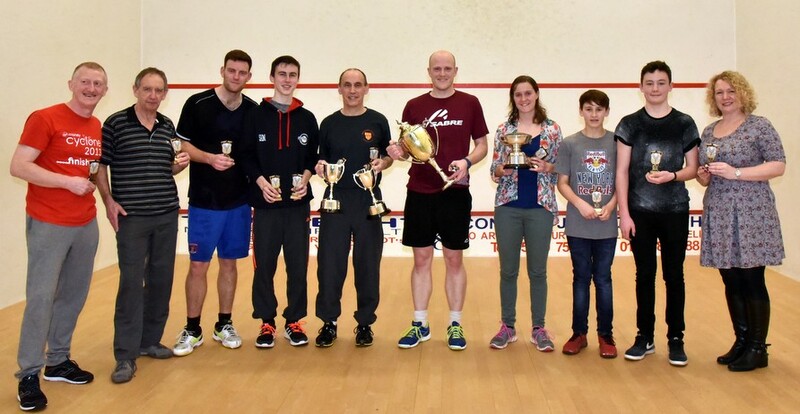 It was an all -Tynemouth affair in both of those finals, Evans prevailing against Glenn Ward in the O55s and winning a five-set thriller against Paul Millington in the O45s. 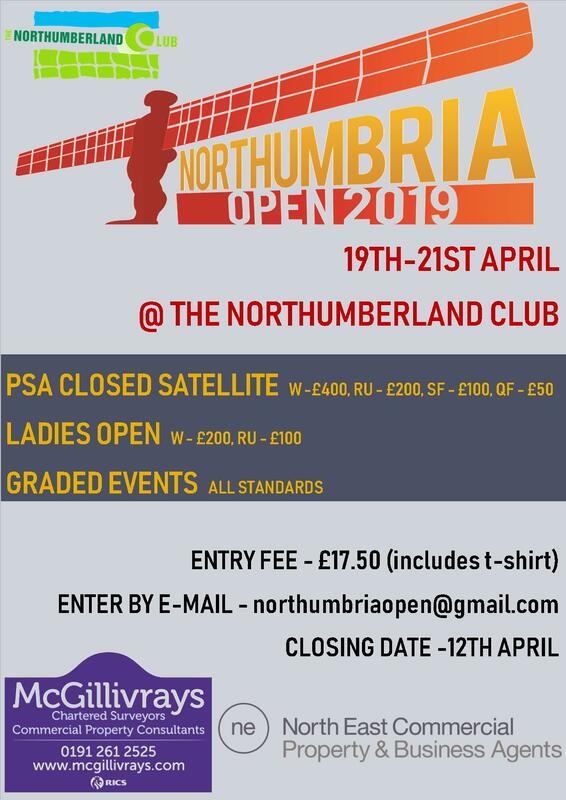 Well done also to Men’s B champion – the ever-improving Max Forster of Northumberland Club – and Tynemouth’s Nicky Dobson, who took the Ladies O40 title with a win over Northern’s Michelle Robertson. 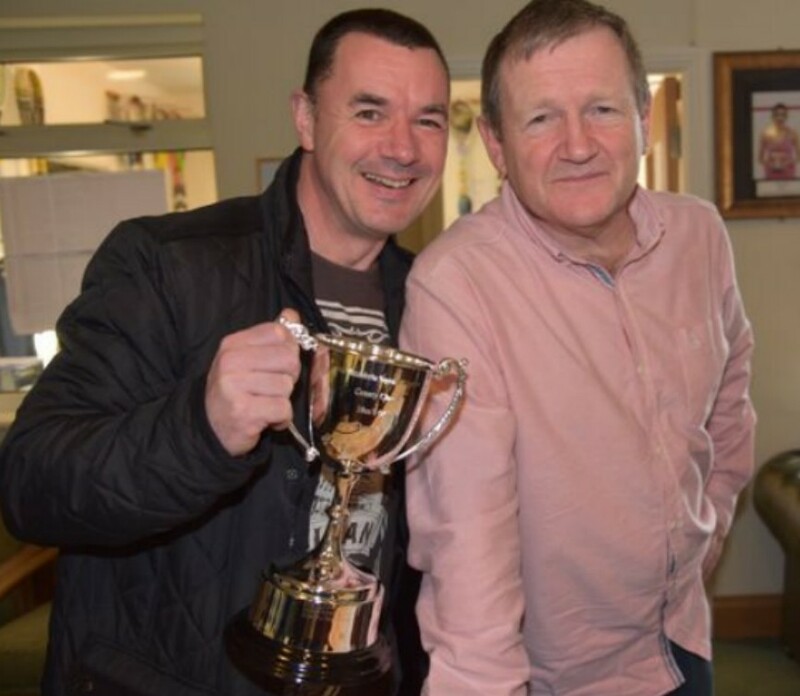 Home club Tynemouth also provided the winner of the inaugural Men’s Over 60s event, with Steve Cubbins clinching the battle of the wily shot-makers against Eldon Square’s Alan Coates.